Home Android 6.0 Android M Marshmallow News Rumor Xperia Z5 Xperia Z5 Compact Xperia Z5 Premium Xperia Z5 Series to Get Android 6.0 Marshmallow Next Month? Xperia Z5 Series to Get Android 6.0 Marshmallow Next Month? 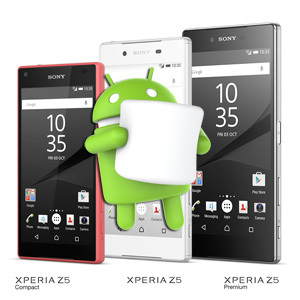 Xperia Z5, Xperia Z5 Compact and the Xperia Z5 Premium are the latest flagship device of Sony's Xperia Z line. About 2 months ago Sony announced list of their smartphones will be get the Android 6.0 Marshmallow. Above 3 devices are first in line to get the update. According to a new Tweet from the leaker (Ricciolo) Xperia Z5 series may get Android 6.0 Marshmallow next month which is January. Also the remaining devices of the list may get the update shortly.